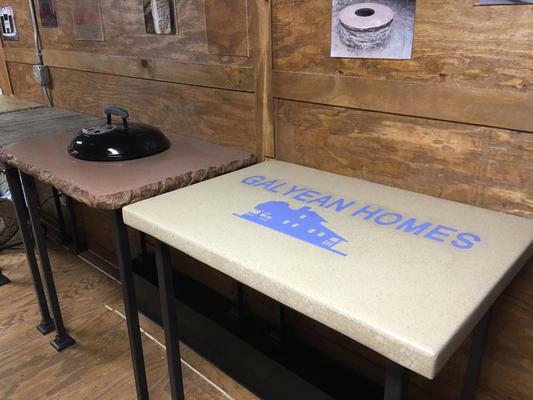 Kim and Bill Galyean II have been building Custom Homes since 1995 as Galyean Homes Inc. 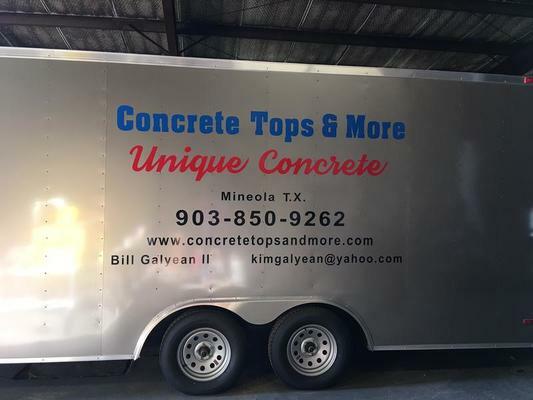 In 2012, the demand for concrete counter tops and products began to grow and Bill attended his first of many training programs and graduated in March 2012. He has also graduated from the advanced concrete class. He has attended numerous schools from California to North Carolina. 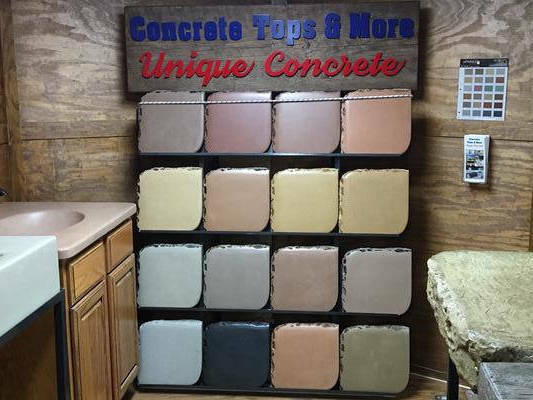 After hundreds of successful projects he is ready to use his very own from scratch GFRC concrete mix to create a concrete project for you. 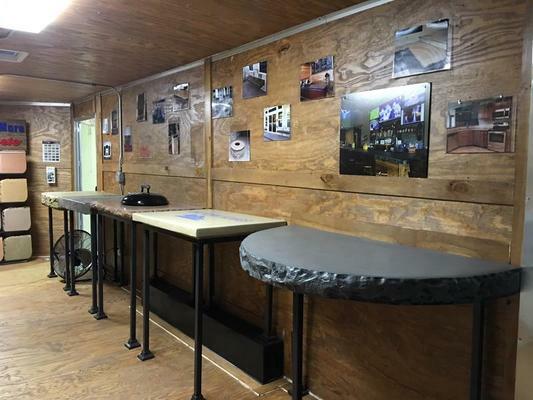 All pieces are pre-cast which are set up and poured in the shop. 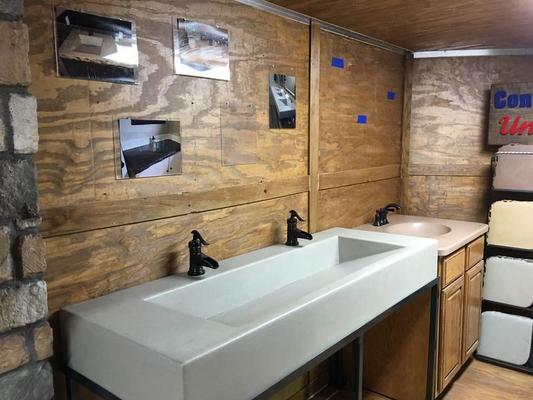 Each piece is finished and installed like other solid surface products weighing only 10-12 pounds per square foot. 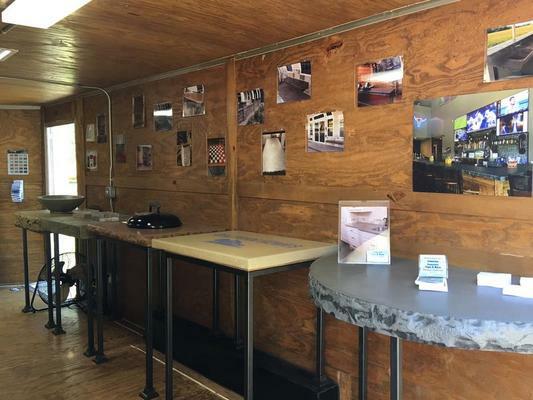 Our showroom trailer can come to your home, work or job site. 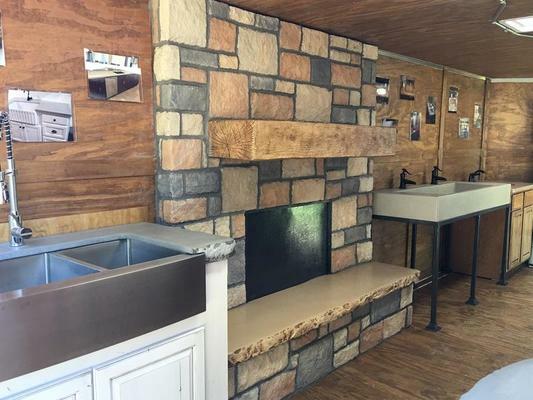 You can see and feel the beauty and texture of quality concrete products.